Teeth whitening may seem like a pretty current dentistry trend but did you know that the practice dates as far back as Ancient Rome? 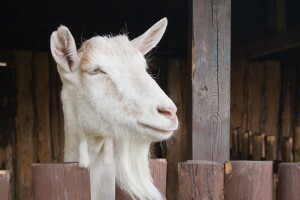 Studies have shown that the ancient Romans tried using both urine and goats milk to whiten smiles. Thankfully, these very unappealing whitening ingredients are no longer used. Patients today can instead enjoy the whitening process either in the comfort of their own home or reclining in their dentist’s office chair. There are benefits to each method. Learn a little bit more about each one, or call us to help decide and we will have you on your way to a dazzling, bright smile. At-home whitening is a good option for patients who may not have time to schedule an appointment for whitening or who get anxious in dental offices. This process typically takes 10 to 14 days in order to remove stains and dramatically whiten teeth. In-office whitening can be an appealing option for patients who don’t want to spread their whitening process out over two weeks. With in-office whitening, Dr. Dennis Wells will use a special light-activated whitening solution and light to help the process be quicker and more effective. Patients who opt for in-office whitening are still recommended to do some at-home whitening for follow up to achieve the brightest smile possible. Whichever option you prefer, contact us and we can let you know the best course of action for your teeth. We look forward to helping you obtain a beautiful, pearly white smile.